2019-20: Shreeyash won a Fulbright fellowship to study Indian magic. He will be in India summer 2019 and summer 2020. 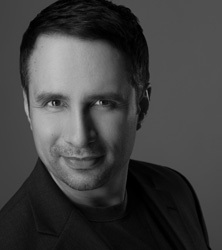 A globe-trotting magician, author and speaker now based in Pennsylvania while working worldwide. Whether you desire an enchanting illusionist for a party, a fun show for your college, theater or club, or an erudite lecturer, you can find it here. Shreeyash has been amazing people around the globe for two decades. Look around the site or contact us for more information. We look forward to entertaining your guests with world-class bespoke fusion magic or an engaging talk about Indian culture. COPYRIGHT 2011-2015. SHREEYASH PALSHIKAR. ALL RIGHTS RESERVED.